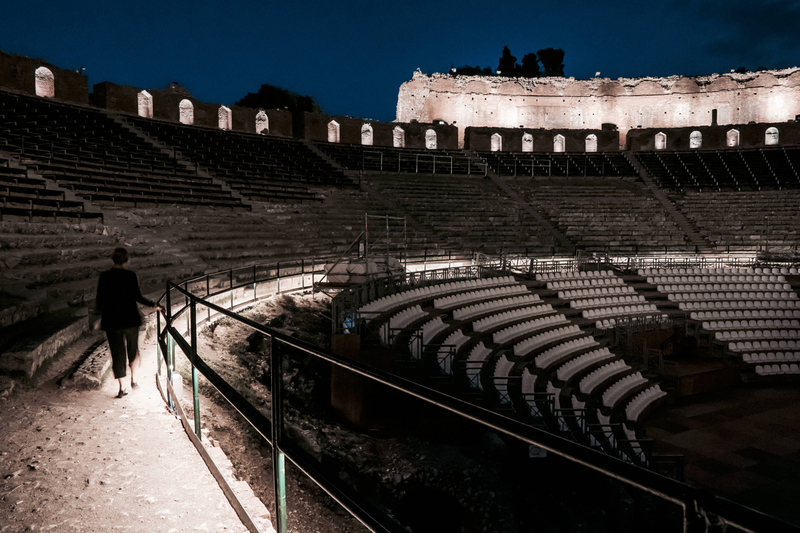 Taormina, June 28th - A lighting project designed for the enhancement and the energy redevelopment of one of the most important archaeological sites in Italy, the Greek Theatre of Taormina: this is the project donated by Metaenergia Group, one of the main national energy operators, to the Department for Cultural Heritage and Sicilian Identity. The lighting project, which led to the creation of a completely new LED system, was realized thanks to the synergy among the Department, Metaenergia, who supported the entire design phase, and iGuzzini Illuminazione, that has been chosen for the lighting solutions. The project, originating from the collaboration between the Engr. Roberto Sannasardo, Energy Manager of the Regional Department for Cultural Heritage and Sicilian Identity and lighting designer for the project, and Maurizio Molinari, President of Metaenergia and the Ar. Vera Greco, Director of Naxos Garden will allow visitors to access the theatre during the evening hours starting from July compatibly with concerts and events planned for the season. 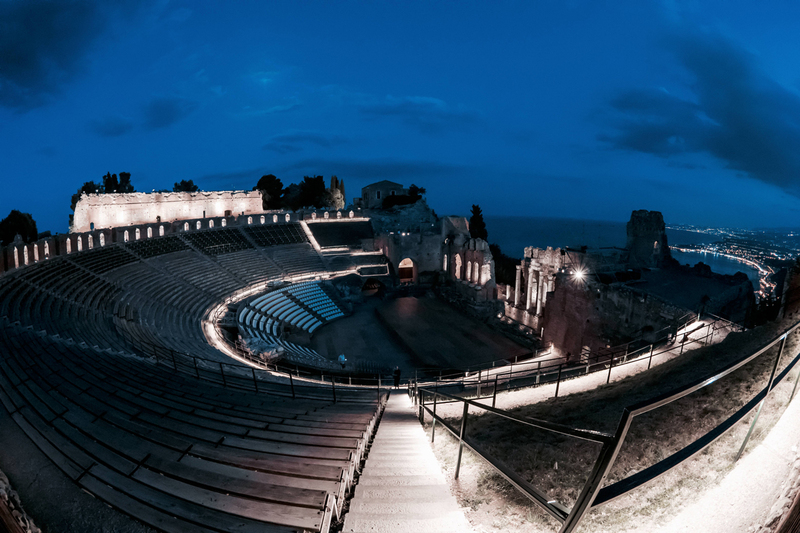 "The Greek theatre of Taormina project is part of a wider strategy of the Department for Cultural Heritage and Sicilian Identity aiming not only to meet the regulatory requirements, also and above all to promote energy efficient solutions in the field of Sicilian cultural heritage following the example of the LED relamping of the Valley of the Temples in Agrigento“, commented the Engr. Roberto Sannasardo, Energy Manager of the Regional Department for Cultural Heritage and Sicilian Identity. “As is well known, architecture is inseparably linked to light: this is why the project, apart from satisfying the legal requirements, has the added value of highlighting the architectural and archeological elements. For example, the archeological artifacts along the summa cavea paths are now considered as significant components of the monument and they enrich the experience with educational and emotional traits”, commented the Ar. Vera Greco, Director of Naxos Garden. "Being able to integrate more innovative energy efficiency solutions to the projects for the evaluation of the Italian cultural heritage is a result that makes us particularly proud. We have adopted design solutions that perfectly fit with the aesthetic and functional needs of the theater, as well as the regulatory requirements needed”, said Maurizio Molinari, Chairman of Metaenergia. Light fixtures with minimal visual impact, warm color temperature and excellent colour rendering have been used in order to enhance the architectural and landscape peculiarities, as well as the uniqueness of the volumes of one of the most fascinating places in ancient history, the Greek theatre of Taormina. The integration of new luminaires into the existing system with high performing DALI LED components will allow a decrease of 80% in consumption and a related reduction in operational costs. In addition, 113 LED WHITE CRI 90 projectors supplemented with 44 LED RGBW luminaires have been installed to maintain a suggestive colour rendering without altering the original colour of the stone. The installation of approximately 500 linear meters of Underscore InOut, the lighting line, illuminates the stairs and the interior paths ensuring a greater visibility and will, for the first in history, allow visits after sunset. Lastly, all the selected light sources, with a colour temperature of 2900-3000K, have a low environmental impact in terms of energy consumption and light pollution. 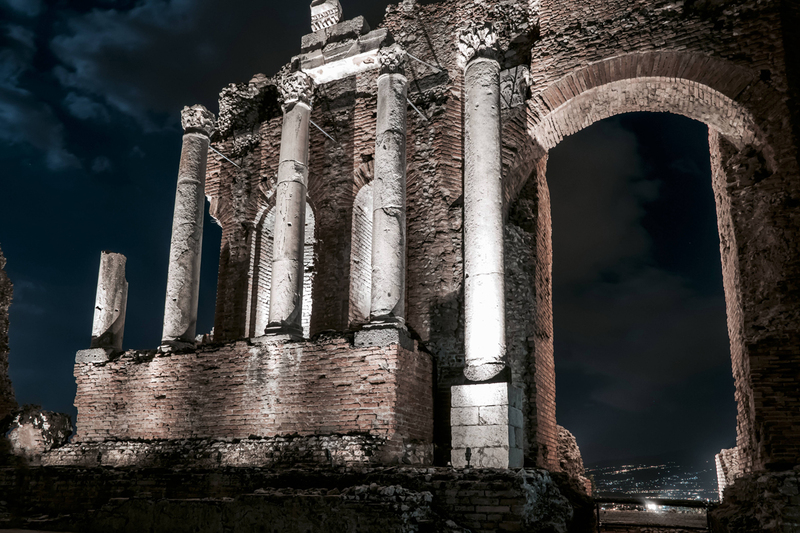 "We are proud to have made available our expertise and experience in the field of lighting to the community for this important project aimed at the protection and development of a great historic cultural heritage through lighting. In fact, iGuzzini Illuminazione, has been sharing for more than 20 years, its own culture of light and its products within international projects that allow people to better appreciate artistic places and works of art around the world”, said Andrea Sasso, CEO of iGuzzini Illuminazione. 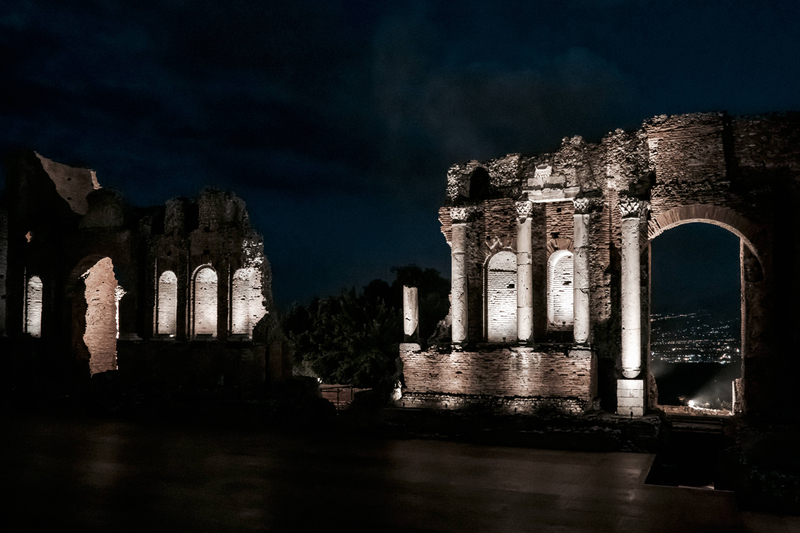 The lighting project, inaugurated in a preview during the G7 Summit in May, is part of a wider strategy undertaken by the Department for Cultural Heritage and Sicilian Identity that aims at improving the energy efficiency of buildings and archaeological areas of the territory.